USA Wildlife Removal Education Guide - How big do mice get? Mouse (Lat. Mus) is animal that belongs to group of rodents. The most well-known species from this group is domestic mouse. Besides them, there are 37 other species of mice that some, like domestic mice live near and around humans while other live far away from people, leading private and secluded life in the forests. Mice are spread all over the world and there are different families of mice in Europe, Asia, Africa, Americas and Australia. Mice basically live everywhere-they are not present only on Antarctic and some smaller, distant islands nor in the sea. As majority of rodents, mice are nocturnal animals, i.e. they are more active during the night. Of course, it is possible to meet them during the day, especially if there is lots of them in certain area. Mice are small rodents that have almost constant need to eat. They are eating a lot-during the day average mouse can eat up to 10% of its overall body weight, so average mouse of 0.7-1 oz can eat 1/10 of this weight in a one day. Mice body is between 1.5-4.5 inches long, with the tail usually as long as the body. On average they weight around 1 oz, but some mice that were grown by people reached 2.11 oz. Wild mice have gray or brown back, with lighter colored belly, sometimes even white. 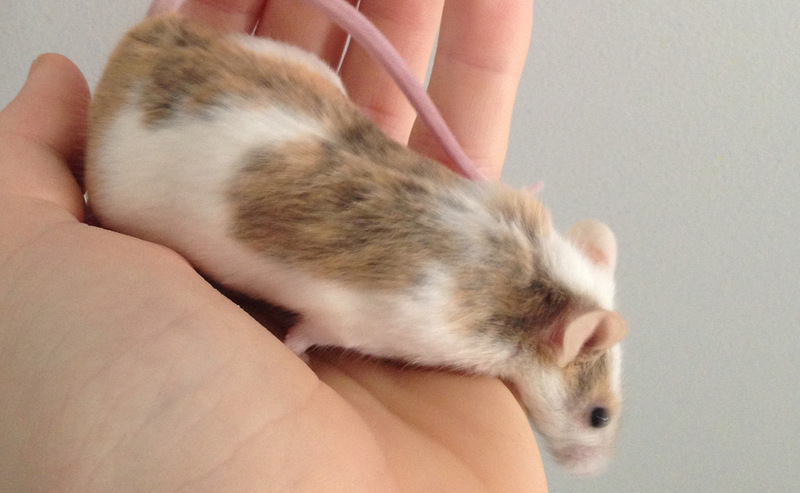 When bred, mice can have numerous other fur color variations. Mice tale is covered with very fine hair, so it appears naked at first look. Mice are carriers of different diseases. One of these is hemorrhagic fever with kidney syndrome, also known as "mice fever". This is acute viral diseases that manifests with fever, bleeding and kidney function damage, often requiring hospital treatment. This diseases has been discovered all over the world and more than 150.000 people gets it every year in Europe and Asia-and there is tendency of patient increase. Thanks to the fact that people and mice share as much as 99% of their genes as well as similar embryo development, similar symptoms of many diseases and common behavior and disorder patterns, it is no wonder that mice have very important role in human laboratories. Mice are important part of human genome research. Go back to the main Rat & Mouse Removal page for more information about How big do mice get?.